TechCrunch seems to like FriendFeed now, Jason Calacanis is now on FriendFeed. 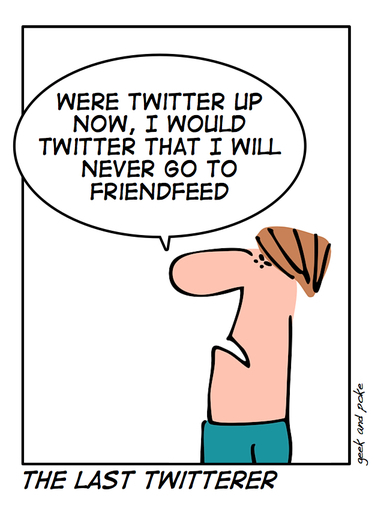 I'm waiting for the day Steve Gillmor changes to FriendFeed. Then it'll be done.